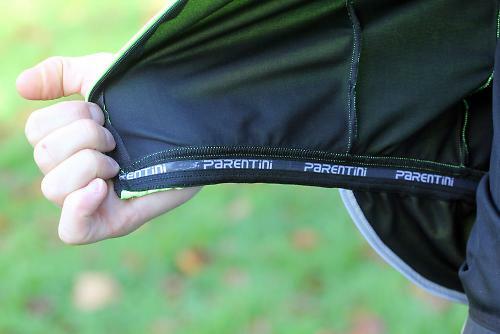 If you've never heard of Parentini before, they're an Italian company that have been making cycle clothing since 1976 and have supplied clothing for professional racing cyclists over the years. The Mossa is their latest garment and is intended to wrestle Castelli's Gabba off its throne, where it has been since the snowy edition of Milan-San Remo a few years back. Unlike the Gabba, the Mossa is actually fully waterproof, not just water resistant. This is achieved with the Windtex Membrane fabric, which comprises two layers sandwiching a membrane. A Hydro treatment providing water repellency. Water simply beads off the fabric and even on a ride of 2-3 hours in steady rain, the Mossa copes admirably, far surpassing the point that the Gabba would have succumbed to the rain. Even though it provides high levels of water repellency, the Mossa is highly breathable. A lot of my riding is high tempo paced stuff, and when worn with a long sleeve base layer, I was able to maintain a comfortable temperature throughout. It does take a little while to warm up though, there's not a lot of insulation going on here. You can't layer up underneath either; the Mossa can only really be worn with one layer on the arms underneath, and due to the close fit of the arms, it needs to be tight fitting base layer. Parentini says it's good for between zero and 15 degrees, but that range will be determined as much by whether you run hot or cold and how fast and hard you ride. I admittedly run quite cold and need to layer up, and the Parentini over a long sleeve base layer was only really warm enough down to about 5-6 degrees. One solution would be to wear a second short sleeve merino base layer or jersey. 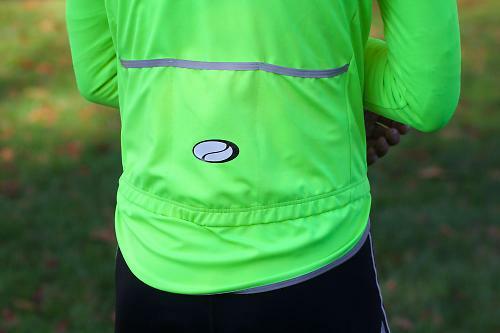 While it offers the wind and rain protection of a jacket, the Mossa has the fit and comfort of a jersey. There's been an increase in the number of jerseys recently that border on jacket in terms of protection, while maintaining the fit, lightness and flexibility of a jersey. Parentini have gone with very much with a close, race fit, and the sizing is typically Italian. If you're a small in Castelli, you'll be a small in the Mossa. It works well, snug with no excess fabric to catch the wind and slow you down when you're pounding out the miles. Around the back there's a dropped and curved flap to cover the lower back, and it's very high at the front, perhaps a smidgen too high; another 1-2cm of fabric wouldn't have gone amiss. Elasticated cuffs provide a good seal at the wrists and are comfortable. Three rear pockets are generously sized. Durability has been good. It goes through the washing machine on a regular wash cycle, and despite several muddy rides, it still looks as good as when it was first pulled out of the packaging. The Mossa costs £175 for the long sleeve version I tested, and a short sleeve one is available for £150. Sizes include XS to XXXL. It's a smart looking jersey too, available in black if the yellow is too bold for your tastes. The Mossa is the same price as the Castelli (though you might struggle to find anywhere online that actually sells it at list price) but the better rain protection ensures the Mossa beats the Gabba at its own game. Parenti have the Castelli Gabba in their sights with their Mossa jersey, and they've succeeded in producing a jersey that offers better rain protection. Mossa is new Autumn/Winter garment from Parentini. The concept has been tested and studied for a while and now ready to be launched. It is a whole new idea of confronting cold weather from sub Zero temperature to 15°. There is two versions, Windtex [winter] and Arrowind [spring]. A traditional winter fabric, with PILE or similar fabrics, keeps the moisture and the sweat. 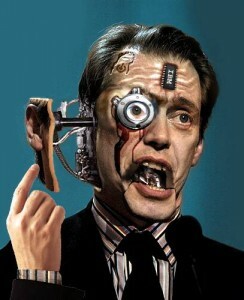 The membrane is only a part. The fabric used for the MOSSA line is made up of a microfiber highly hydrophilic that carries the sweat to the Membrane and through this one lets it evaporate. The WINDTEX membrane it is not only water-repellent, but it is WATERPROOF AND WATER-REPELLENT thanks to the HYDRO treatment that you have on the external fabric. 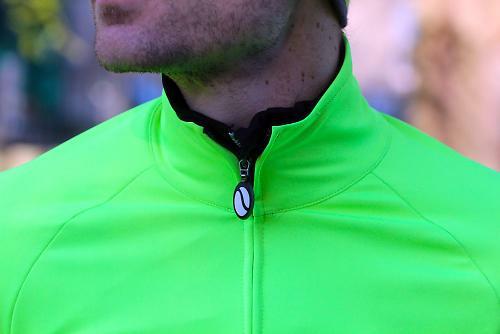 The Mossa wears just like a fitted jersey, which is essential to activate its technical characteristics. The above numbers might have a small significance to an average rider as they are technical details, the idea is to show how advanced the material is in comparison with competitors, i.e. the Gabba is ONLY WATER RESISTANT. The Mossa is available also in WIndArrow material for Spring/early winter wear. To get the best of the Mossa, the rider needs to maintain a certain average riding speed, raising his body temperature. 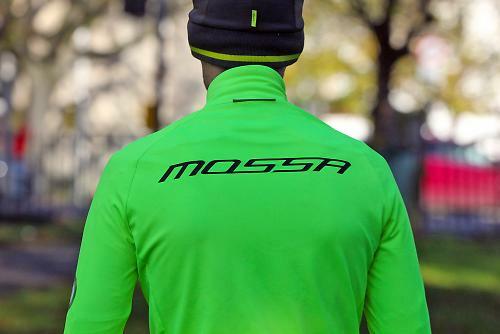 The Mossa will not keep you warm in standstill position or on a very slow rhythm ride. The body needs to sweat for the fabric to do what its designed for. The Mossa can be worn with only an undergarment, ideally Polypropylene, the must not be a great isolation between the Mossa and the body, the contact is essential. Individuals can vary their choice of undergarment as they see suited, you need to know your body temperature and heat release value. The Mossa is short from the front if tried in standing position; the cut is anatomic, race bike position. The Mossa is 4 times more elastic than its competitors, making the fit much better once worn. Others display creases and folds due the fabric inability to mould in. Mossa is 100% waterproof, Gabba has water replant. The Mossa guarantees you an optimum breathability. The Mossa might have followed in the footsteps of similar product, however the finish and details and above all the fabric used to produce the garment, makes it truly unique. This garment is best tried. It will be a challenge to convince clients that they will be warm wearing just a thin garment. We are so confident this will be a break-through on how cyclist will dress from this day on. Within short time, this will replace the heavy jackets lined with foil, pile and other ideas bike wear manufactures came up with. About the same price as the popular Gabba but offers better rain protection. Keeps the weather out, fits like a glove and looks good too. Thank you, David. Like many, I bought the Gabba, and it's good, but not great. Parentini's use of Windtex is the progression we've been eagerly waiting for. Their people have contacted us to offer custom kit; so there's that option too, and I believe, possibly in an array of colours. I think after reading your review, they're going to get busy. It's not hover-boards, but it's a step in the right direction. Cheers! Been using the short sleeves version with arm warmer, one word for it: Outstading. OK, where on earth outside of Italy sells these? Google shows nowt. my gabba looks longer at the back for more rear spray protection? Thank you David for your feedback. stock available in the UK. Please send us an email to sales@zettadistribution and we will assist you. Picture 1/8 makes the back look extremely short? The elasticated waist band is 1/3 the way up the rider's back. And the drop tail is offering no protection to the backside. It doesn't look like the seems are taped, is that the case? It would not be considered waterproof without this, whatever the ability of the fabric. Red scorpions make you faster though. The Windtex fabric has been around for quite a while; interested to know how the Parentini Mossa jersey differs from other cycling garments that use Windtex? Looks like it needs to be about 6 inches longer doesn't it ? Hi Helidoc, thanks for your comment. Parentini opted for non taped seams to maximize elasticity. taping the seamswill make it more restrictive and will effect the overall performance of the Mossa. the Mossa is 100% waterproof, as mentioned in David's test. Thank you all for your feedback re the length of the Mossa. 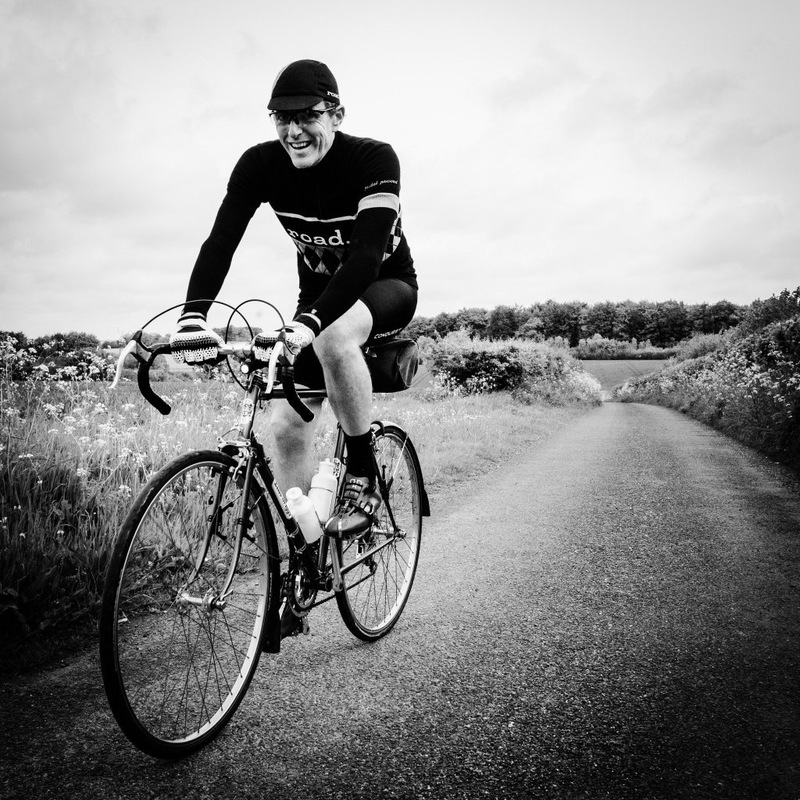 David has slighlt longer torso than an average rider, he has used size SMALL during the test. We have passed on all feedback to Parentini design team. with that in mind, very few riders complained about the length so far. HOW is the jacket 100% waterproof without taped seams?! Or is this you trying for a UCPD ruling in the style of Sherratt v Geralds?! Without taped seams it can't be sold as waterproof, only water resistant. Once again we thank all for the continuing debate and the very useful comments you are adding. Heat sealed seams [ or termonastrate as refered to technically] means all seams will undergo the application of rigid material, heated to conceal the garment. This process will make the Mossa very stiff, also will result in loose wearability where the Windtex fabric will be pushed further away from the body due to the rigidity of the seams, creating gabs where air can easily penetrate, therefore the body will get cold. The whole concept of the Mossa is based around the Windtex fabric being close to the body to regulate its temperature,protects it from the wind,rain etc. the possibility of water entering through the Mossa seam is so low it makes no sense to seal them. Water at no point is still on the seam to go through, due to Hydro treatment of the Mossa. The positive aspects of the close fit the rider can benefit from, are far more superior to the small benefit the taped seam can offer. so it isn't 100% waterproof - just say that! It doesn't matter how well you stitch it together or how good the fabric's silicone treatment it - eventually water will get in if you don't seal the seams, no one will have an issue if you say that, but if you keep banging on in all your blurb about it being 100% waterproof when it clearly isn't then you are going to have issues! Sethpistol, I'd rather insist and say,the Mossa is WATERPROOF. and thats not us saying so, qouting David "Water simply beads off the fabric and even on a ride of 2-3 hours in steady rain, the Mossa copes admirably, far surpassing the point that the Gabba would have succumbed to the rain ". 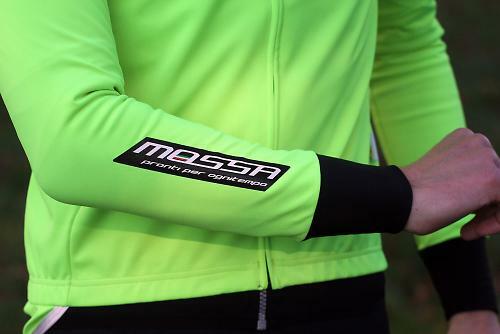 We did not say its waterproof because of the stitching,or by applying any silicone, the Mossa contains no silicone. please red the above comment again and see why water does not go through seams. We also recommend trying the Mossa for yourself, best way to find out. For anyone who's interested about the length - given the remarks above - a Mossa Small (2016 design with the black arm stripe) is 2cm shorter at the front and 6cm shorter at the back than a Gabba 2 Medium. In practice it doesn't feel like there's much in it. If anything, I'd say the Gabba's a bit flappy around the bum. In terms of fit I'd say the Mossa Small is slightly smaller than Gabba 2 Medium but due to being more stretchy it fits better (in my opinion) without much in the way of wrinkles when on the bike. One is descibed as windproof and the other waterproof on the Parentini website. Update 02/02/16: I have spoken to Parentini. Be careful when ordering, especially online. 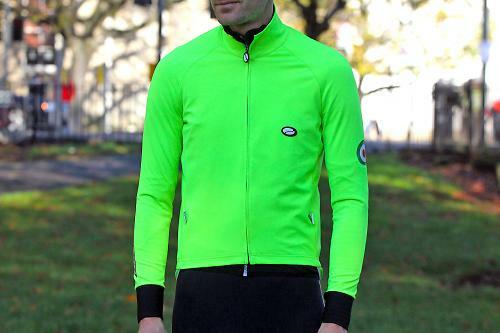 The Arrowind Mossa Jersey is windproof only. Windtex Storm Shield is described by them as a jacket and is the waterproof version. I've had a lot of kit in my time and think that Parentini are just about the best stuff I've worn. I've been in the Mossa.2 all week this week, given the cold, and it's a lovely thing.